Words by Kevin Doocey on January 19, 2014 . Usually when Newcastle United go about their business in the transfer window it is done in an efficient, often professional manner with little information leaked to the media by sources at St. James’ Park. Over the last two years Graham Carr has spearheaded a large recruitment drive that has seen over 10 players of French nationality arrive at Newcastle. When Alan Pardew’s side signed so many French, and no fewer than five in the January transfer window a year ago this month, people questioned whether it would work. The large French contingent would surely fall foul of each other when the chips were down, and shirk the challenge of fighting tooth and nail in a Black and White jersey, right? Well they might have had a case this time last season when Newcastle eventually limped to Premier League safety in the closing stages, but one could easily forget how close the Magpies came grabbing a spot in the Europa League Final. In truth we should have beaten Benfica over the two legs and any Geordie would have fancied their chances against Fenerbache in the next round, followed by an all English final clash against Chelsea - but hey, there is no point dwelling on what might have been. Fast forward to the present and Newcastle are sitting pretty in 8th position in the league, one point below Manchester United and only 7 off the Champions League places. Now is the time that Graham Carr and his scouting team alongside Lee Charnley make their moves to strengthen the side for a further push up the table. This brings me to a certain Rémy Cabella. The French attacker has been linked with a move to Newcastle since the turn of the new year and it looks as if such a move could have legs. Montpellier are struggling badly in the league and Cabella wants to make an impression on France manager Didier Deschamps ahead of the 2014 World Cup if possible which is something that he won’t do by staying with his current club. Over the past couple of days we have heard accounts on a possible Cabella departure from his father, and indeed from the son of the Montpellier owner. 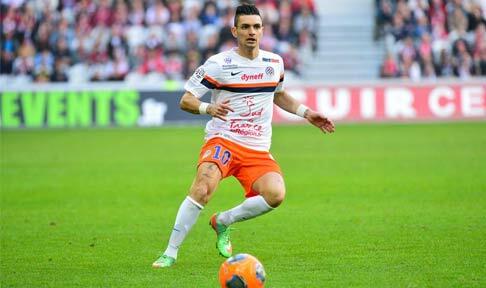 While Cabella’s father was quoted as saying that his son will join Newcastle at the nearest opportunity, Montpellier officials have played down any contact between the clubs. The club’s manager vented his fury at the interest shown in NUFC by questioning why any player would want to head to Tyneside for a day never mind play their club football there! Whatever way to look at it - the French camp are the only ones hinting at a move. We have not heard anything from the Newcastle side to suggest such interest and that is what makes Montpellier’s huffle-shuffle so interesting. The constant talk of Cabella’s future; the possibility of a move to the Premier League and the consistent naming of Newcastle among their officials would suggest to me that the Magpies are in advanced stages regards a move to St. James’ Park. Sky Sports News suggested that as many as four players could arrive this January window and although it seems unlikely, it’s quite clear that there is work going on behind the scenes to bring at least one face to the club whether that be Luuk de Jong from the Bundesliga or indeed (and so I hope!) Rémy Cabella from France. Without putting a downer on this article, we have to realise that Yohan Cabaye will almost certainly leave in the summer transfer window and his fantastic performances of late - highlighted with two superb goals against West Ham on Saturday - will not go unnoticed with Laurent Blanc at PSG or perhaps even Claudio Ranieri at Monaco. Either way, the Yo is going to command a large transfer fee when such interest turns to a formal bid. Why not have, say a replacement, similarly attacking minded midfielder at the club at the nearest opportunity to make such a transition as smooth as possible.. someone like, perhaps, Cabella? Comments welcome as always folks. You can give me a follow on Twitter @KevinDoocey and make sure to like Tyne Time’s Facebook page!